It would certainly not be an exaggeration to say that properly functioning eyes are the most precious things that a person can have. But, due to several reasons the power of eyes decreases with the increase in age. Some people even suffer from critical diseases that can impair vision for ever. Ophthalmology is the science that deals with the methods of maintaining healthy eyes. With the help of ophthalmic devices, ophthalmologists can determine the problems in vision of a person and can do the necessary treatment to resolve the problems. 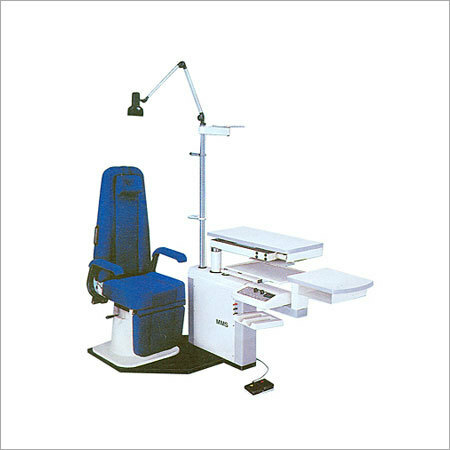 These devices are indispensible in modern ophthalmic industry. Slit lamp is perhaps the most widely used devices as far as treatment of eyes is concerned. It is widely found in eye hospitals and optics stores across the globe. The Slit lamp is mainly used to check both the posterior segment and the anterior segment of the human eye. It is the first device that ophthalmologists use to treat eyes. An autorefractor is used to measure the change in the path of the light as it enters the eyes. The refractive error measured by this device helps ophthalmologists prescribe glasses or lenses to the patient. It is especially used on childre3n or those who cannot properly convey their visual problems. Eye charts are always found hanging on the walls of eye hospitals and eye clinics. The size of the letters encrypted on these charts range from very large to very small. It helps ophthalmologists understand the power of the eyes of a patient and prescribe the necessary treatment. Ability to read even the smallest letters from a distance indicates an extraordinary visual power and probably does not require any treatment.